Nearly a year after launching The Empowered Marketer, it’s time to reflect back on the many fascinating and insightful B2C marketers we were lucky enough to interview. When we launched this podcast back in February, we didn’t really know how it would go. Would people listen? Would we be able to convince smart ecommerce and B2C marketers to share their insights as guests? But now, nearly a year later, we can say yes and yes! It’s been amazing to be able to build and grow this podcast and we hope you’ll stick with us in 2019. But before we move forward, we’re going to do a bit of a flashback. 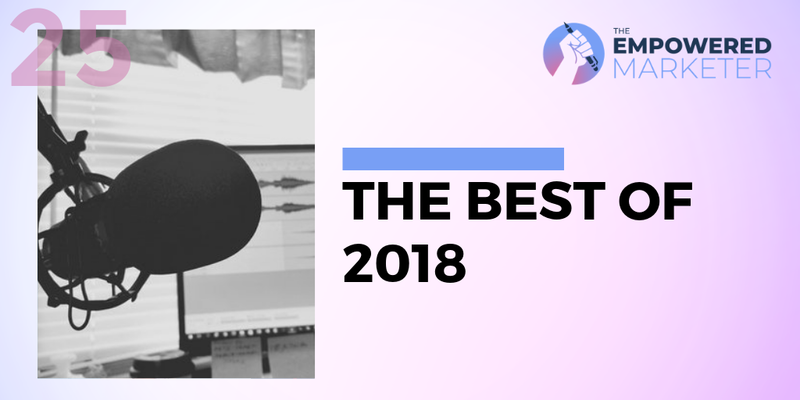 We dug through all of our past episodes from the year and pulled some of the very best questions from the top interviews and the most interesting brands. Thanks for listening to The Empowered Marketer throughout 2018! We truly appreciate your support, and we’ll be back in 2019 with a new season and more great interviews with top B2C and ecommerce marketers.